Arthur Price cutlery was first manufactured in the late 19th Century. Founder Arthur Price used his extensive experience in manufacturing flatware to start producing cutlery. The original factory had no electric power and used a small gas heater to create the silver ingots used in the manufacture of silver cutlery. 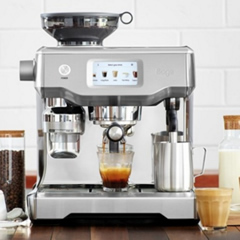 The manufacturing processes, conditions, and the machinery used has advanced a lot since then, but the same family atmosphere and dedication to quality remains. Arthur Price cutlery is renowned for its high quality, is designed to last for many years, and in a lot of cases, Arthur Price cutlery sets also come with their own display box or display case. 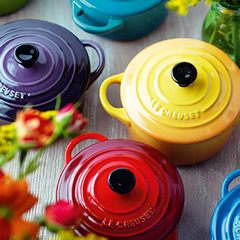 They make ideal gifts for weddings, anniversaries, or housewarming presents; are ideal to put aside for special occasions; and are also perfect for everyday use. ECookShop has a large variety of flatware, cookware, and diningware from some of the biggest brands. As well as providing our customers with some of the most competitive rates, we also offer free delivery on all orders over �50 to your UK address. Arthur Price spent 20 years working within the flatware manufacturing industry before World War II. While mastering manufacturing skills, he also spent the time amassing second hand machinery that was used in the production processes. Eventually, he set up a factory in the Aston region of Birmingham, where he employed 12 people including his eldest daughter. By 1911, the company was booming and had moved to larger premises. The Arthur Price has never been afraid to innovate. They were the first to manufacture forks and spoons out of chromium plate, which was used before stainless steel was introduced. 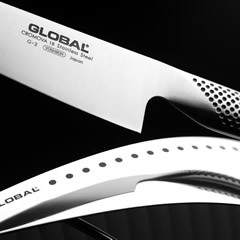 Stainless steel and silver remain two of the most popular materials for manufacturing Arthur Price cutlery. 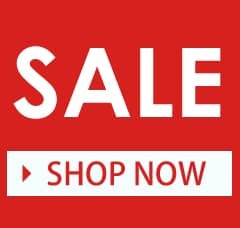 Depending on which Arthur Price cutlery set you are interested in, you can choose from a selection of high grade materials - stainless steel, silver plated, or sterling silver Arthur Price cutlery sets are all available. While the sterling silver sets do cost more, silver is a precious metal. Silver cutlery represents an investment, and while silver isn't as strong as stainless steel it does have a more lustrous finish. 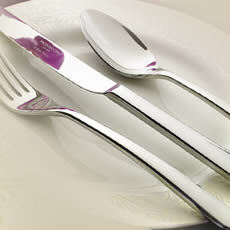 If you do buy sterling silvery cutlery, ensure that you care for it effectively. Don't place it in the same dishwasher basket as stainless steel, don't leave it lying around in water, and try to avoid using overly abrasive scouring pads and detergents. Most people have a steel cutlery set for everyday use, and a silver set for best. 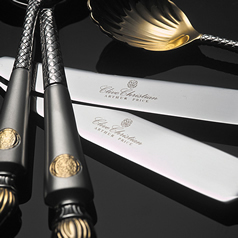 Every set and range of Arthur Price cutlery comes with an extensive manufacturer's guarantee. This guarantee means that, as long as there has not been any accidental damage or misuse, and as long as you have followed the care instructions, Arthur Price will replace broken items from your cutlery set. 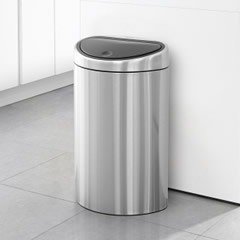 Proper care means avoiding immersing the cutlery in water for too long, avoiding mixing stainless steel and silver in the same dishwasher basket, and rinsing cutlery as soon as possible after use. If hand washing, avoid abrasive scouring pads, do not use liquid bleach, and dry it as soon as possible after washing. Different sets offer different warranty lengths. Premium sets, like the Arthur Price of England sovereign silver plated and stainless steel sets have a full life time warranty. 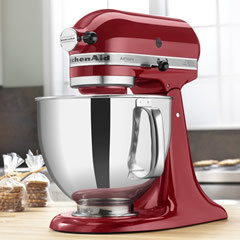 Other sets offer a 25 or even 50 year warranty. You can enjoy total peace of mind, knowing that your new cutlery items will last for tens of years, and that you can replace items that become damaged. One of the reasons that Arthur Price can offer this extensive warranty is because of the quality of the materials and the quality of the finished items. Choose your set according to the style and design that you want, the number of pieces you need, and the material that it is made from. 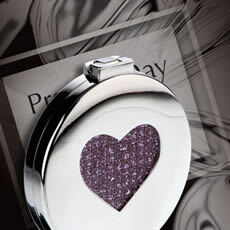 Arthur Price of England sets have a classic and uncluttered look, and are available in both stainless steel or silver. 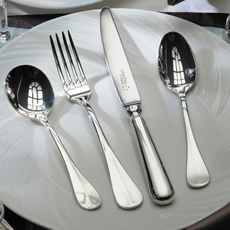 Titanic Luxury cutlery is designed to mimic the style of items on the opulent cruiser. 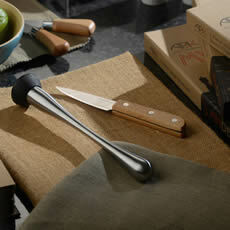 Following the success of Arthur Price cutlery sets, the company launched giftware and other gift items. 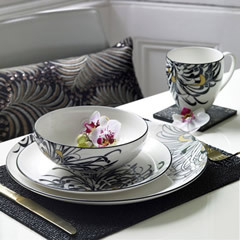 They now also sell tableware and homeware items. The company is known for its production of stainless steel and silver cutlery, and they have used this experience and knowledge to create equally stunning and highly sought after gift items like picture frames, champagne bottle stoppers, letter openers, ring holders, and more. Silver is the colour of 25th wedding anniversaries, making these great gift ideas for those celebrating their anniversary. 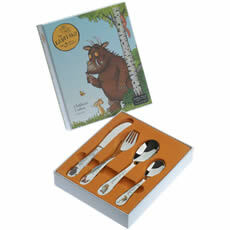 The quality and longevity of the cutlery sets means that these also make popular wedding and housewarming gifts. Following the purchase of Charles Kirkby, a cutlery cabinet manufacturer, in 1988, they also started offering cabinetry. Interestingly, 1988 was also the year that Arthur Price was granted its second Royal Warrant. By the late 20th Century, Arthur Price started to meet consumer demand by providing contemporary designs of cutlery. 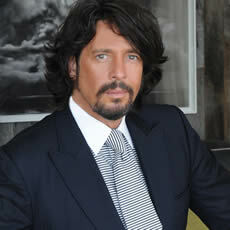 The company collaborated with Laurence Llewelyn-Bowen in 2000, and you can still buy Llewelyn-Bowen designed cutlery and items like china mugs. 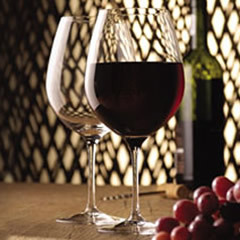 Lord Patrick Lichfield launched the Lichfield Photograph Frame Collection in 2001, and chef Jean-Christophe Novelli designed a kitchenware range with Arthur Price, although this range is no longer available as it didn't prove successful. Sophie Conran, Clive Christian, and even The Gruffalo co-creators Julia Donaldson and Axel Scheffler are among other famous names to work with Arthur Price to create appealing designs for buyers. At ECookShop we offer an extensive range of Arthur Price cutlery sets, including Arthur Price Vision and Arthur Price 18-10 sets. 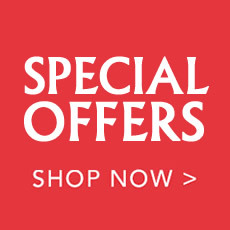 Not only do we offer competitive prices on all cutlery sets and giftware but we also provide free delivery on orders over �50. 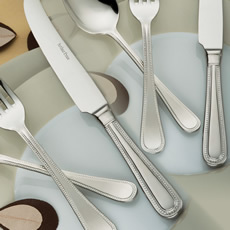 Buy today and have your high quality and popular cutlery sets delivered straight to your door, ready for use.